We are a prominent Supplier of a wide range of Site Analyzer, which is easy to operate and field ready for first time, occasional and experienced users. Our Site Analyzer comprises of easy-to-use Antenna and Cable tester with Digital Power Meter Option. 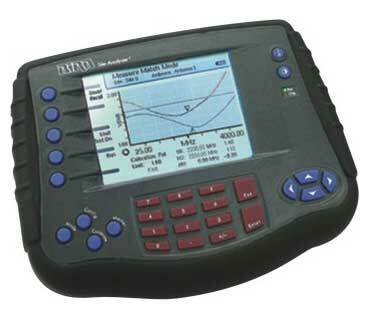 The Site Analyzer, offered by us, is generally used in antenna and cable testing. Our Site Analyzer provides user-friendly test solution for installing, maintaining, and troubleshooting antenna and cable systems. Our Site Analyzer provides cost-effective, fast, and graphical way of determining the quality of mobile and base station antennas.